All India Majlis-e-Ittehadul Muslimeen (AIMIM) Bihar chief Akhtarul Iman, known in political circles as Owaisi of Bihar, is the party’s candidate for the Kishanganj Lok Sabha constituency, which has a Muslim population percentage of 56%. 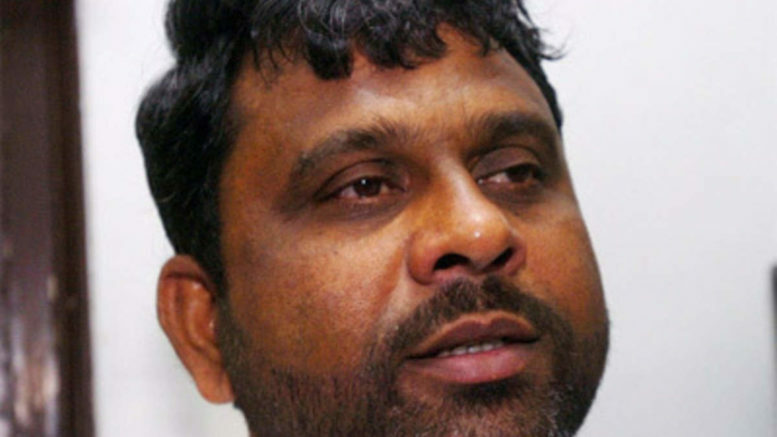 Iman was contesting on a Janata Dal (United) ticket in 2014 after resigning from Rashtriya Janata Dal and later left both RJD and JD(U) to join AIMIM. He withdrew from the electoral arena in between electioneering in 2014, saying that for him winning election hardly mattered. He is a former legislator in the Bihar Legislative Assembly, and represented the Kochadhaman constituency twice on RJD ticket. What is the status of All India Majlis-e-Ittehadul Muslimeen (AIMIM) in Bihar? Especially Seemanchal area where you have contested already? First of all, AIMIM is a new party in Bihar, which began its work in 2015. The party contested in Bihar assembly election the same year for the first time. Within the short span of time, the party could establish good relations with the community. To speak about Bihar and especially the Northern Bihar which is also known as Seemanchal, is recognized for its backwardness in the state. After independence, India has grown in various sectors including agriculture, educational technology, industrial development and so on. Unfortunately, this area has been cut from all developments and it became the most backward region in Bihar. Chronic flood situation every year has led to the loss of agricultural land. Lowest per capita income, lack of educational institutions, less development in industrial and health sector are the main reasons people in the district and northern Bihar are migrating to different parts of India. This backward socio-economic condition has led to unemployment, poverty and high infant mortality rate. The leaders who sit in Patna or Delhi have no proper planning for the region because it has 70% of Muslims and the rest of the population constitutes Dalits. Even considering the growth of this region has always been the last slot. No ray of hope has reached the region even after seven decades of independence. The region is only known for the assets like unemployment, poverty, illness, illiteracy, homelessness and so on. Being born as a native of Kishanganj district, I have plans and programmes for the growth of the region. People in Seemanchal should also be able to enjoy the growth and the opportunities just like Kerala and Punjab enjoy. But for years, the leaders who ruled the districts have injected fear in the hearts of people to not ask for their rights. 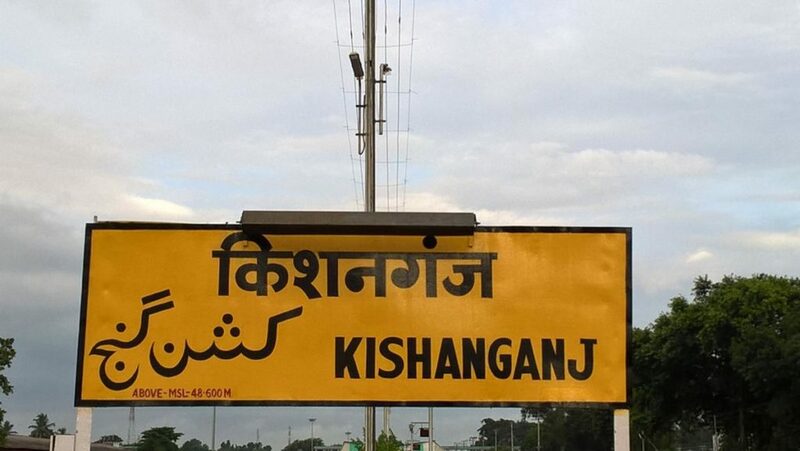 Kishanganj is one of the poorest districts in India, having a per capita annual income of Rs 9,928 (as per figures of economic survey 2018-19) with a literacy rate of 57.04%. Nobody is raising voice for their rights. AIMIM has always spoke about getting special status to the Seemanchal area. Why is that necessary? What will be your plan of action if you are elected from Kishanganj constituency? Our demand is to give special status for Seemanchal region according to Article 371. And to form a Development Council under the same. Through this the development in educational, heath, and industrial sectors will be established. So that the problem of unemployment and migration is tackled. Apart from these, Seemanchal, being a flood prone region, there are no plans from central government to curb this situation, despite having water body in all the sides. The fund allocated are all diverted to separate places although the district was declared as distressed in 2006. Whatever development happens in Bihar, there have always been discrimination towards Seemanchal districts. If the government gives ten to other districts it’s just one for Seemanchal districts. For example: under the Integrated Poultry Development Scheme of Govt of Bihar, the programme gave Nalanda District 72 cylinders in subsidy and any unemployed youth could find decent income out of this scheme whereas Kishanganj district got just 3 cylinders. This is also the case in primary and higher education opportunities. As a result of this, migration became a compulsory in the district. AIMIM’s aim is to fight for equality and justice in all over the country with zero discrimination. As a result, 300 people out of the 1 lakh members of our party in Seemanchal (Araria, Purnia, Katihar and Kishanganj) have contested in local body elections. We have cadres from Muslim, Hindu and Dalit communities. Our fight is for education, food, health facility, bridges over rivers, roads and employment opportunities. You will be surprised to know that there are 3 bridges in every 17-18 KM distance over Ganga-Son River. Here it is Mahananda River where you will not find any bridge built in 50 KM distance. So, our fight is for holistic development of the area. Unlike other Muslim communities in India, Bihar has produced prominent politicians like Syed Shahabudeen. But still the Muslim community in Bihar is marginalised with respect to Human Development Index compared to other communities. What problems do you think are faced by Muslims in Bihar? Syed Shahabuddin has been an intelligent parliamentarian. Unfortunately, during his term, most of his political career happened to be in the issues of Babri Masjid and Shah Bano case. Hence, he could not focus for where he was being elected. MJ Akbar preceded but he also could not do much to this region. The fact is that, all those who came from outside to contest did neither really study the ground reality of the region nor knew the medicine for actual disease that our region is facing. Do you think Rashtriya Jonatha Dal (RJD) has done justice to Muslim community in Bihar especially in Seemanchal? What is your personal experience in RJD and why did you quit? I have been the MLA of RJD in 2005-2014 and in the last Lok Sabha election I was with JD(U). But I have withdrawn my nomination. Both the parties have internalized Hindutva agendas. It takes the votes of Muslims by showing anger on BJP or Hindutva parties but has always backstabbed Muslims when it comes to development or political sharing. So, this is the reason, I feel that there should be the community’s own representation to fight for the community. Even though the growth of the party is very slow, but I am sure that this will eventually bring a trust among the Muslim community. That is why I advise people to promote religious tolerance and fight Casteism. The leaders who take our votes do not do anything for us. This is a long journey we have to accomplish and we will hold hands with all the oppressed communities. Your opinion on administration of Nitish Kumar as a politician and JD(U)? There is no difference between JD(U) and BJP. Nitish Kumar have brought in a great damage to this country. He destroyed complete democratic values in the state. He gave extra power for bureaucracy so that the elected representatives have zero voice in decision making and as a result of that the people’s voice is suppressed. Law and order have been toppled and remained just for the name sake. Beyond that after being elected as secular government it joined hands with BJP to form government. The betrayal of JD(U) is in peoples’ minds and they will definitely retaliate this election through ballots. Do you think Lalu’s imprisonment curbed the popularity of RJD? Who do you think will perform in the 2019 Lok Sabha election in Bihar and Centre? We hope that, he and his party get out of the mess soon. Our policy now is to consolidate parties against BJP and its alleys. Do you think AIMIM can get seats from Bihar in next assembly elections? If we win this seat in the 17th Lok Sabha election we will contest in the most possible number of seats. And being a largely minority populated region, AIMIM will be able to influence other regions as well and become a pressure group in other areas too. What is your party’s strategy for 2019 Lok Sabha elections? Do AIMIM expect any Lok Sabha seats other than Hyderabad? Apart from Telangana state, we have opened account in Maharashtra as well. In Maharashtra we also have alliance with Prakash Ambedkar’s party in upcoming parliamentary elections. As of now, present MLA of Aurangabad constituency will contest in Lok Sabha election. Our party’s policy is not to fight for Chief Minister’s or Prime Minister’s seat. But as Indian citizens, we have full trust in our constitution and it’s our duty to protect constitution and democracy in the country- for that, our presence as people’s representation in law making bodies to protect their rights has become a necessity. Can AIMIM attract the vote of Muslim community in Uttar Pradesh which currently votes for SP, BSP and Congress? In the last assembly election of Uttar Pradesh in 2017, we’ve contested for 38 seats with 2 lakh vote share. But now, for Lok Sabha election we are yet not contesting. Once the Lok Sabha elections are done, we have a lot of homework to do in the state of UP about its alliance and further political activities in the coming years. Do you have plans to ally with any other Bahujan parties like BSP in future? As long as there are no financial discrepancies, corruption and EVM discrepancies stocked in a party, we can think of having alliance with local parties. After all we are looking forward to have alliance with parties who upholds democratic values. What is your plan on Bengal which has a significant Muslim population? As far as I know, there are many supporters from West Bengal who are willing to start the party’s work. Very soon will have plans to work on it. 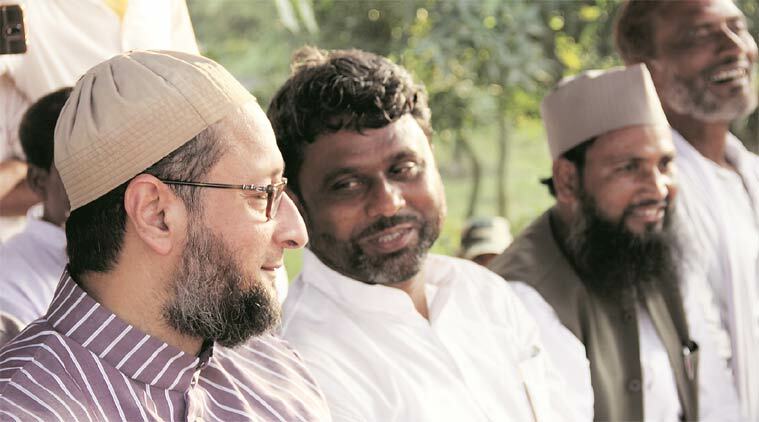 If MIM wants to be a national party, it must have strong leaders in each state? Do you have such leaders in states other than the charisma of Owaisis in Hyderabad? Our national leader Asaduddin Owaisi will be well versed to comment about our national policy. As far as Bihar is concerned, I am sure that AIMIM is growing all over the state. Our general policy is to be something more than being a national party. To work where injustice is prevailing and to uplift neglected areas by giving political awareness and to assure justice in the region. Do you think AIMIM can be the first pan Indian Muslim political party after independence? I rather not say, this is pan Muslim party but rather it is platform for all oppressed communities to stand together and to uphold democratic values and justice in this country. What are the possibilities of a federal front in this Lok Sabha election? There are waves to form larger alliance in different parts of country against the present inhumane fascist government. Deriving out of experience of discrimination against the region, there won’t be any alliance with any local parties in Bihar. At central level, there should be a federal front and the movement for a third front was there but that ended due to certain reasons. As far as the present scenario is concerned, there are no such pre-poll alliances but there is a possibility for post poll alliance. The doors are always open for alliance with like-minded parties who stands for justice, democracy and who will stand against disparities. Our leader has always supported formation of such fronts. Lubaib Basheer is a graduate in Social Work and currently working as a program coordinator in a Bihar based non government organization. Be the first to comment on "Bihar MIM chief and Kishanganj candidate Aktharul Iman demands special status for Seemanchal"